Founded in 1997 as Highway to Health, Inc., HTH Worldwide Insurance Services, LLC is a leading and well-trusted provider of international health insurance, located in Radnor, Pennsylvania. HTH Worldwide Insurance services provides a wide range of high-quality travel medical plans for both U.S. and non-U.S. citizens, all equipped with their Global Health and Safety Service, a unique set of online resources for contacting medical health professionals, receiving health and safety news alerts, and more. 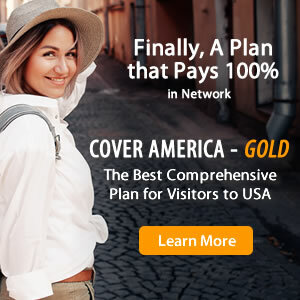 HTH offers many full-featured plans with a wide variety of coverage options such as trip cancellation, trip interruption, trip delay, medical protection, evacuation coverage, baggage loss, and more. Repatriation reimbursement for HTH plans is relatively low in comparison to other insurance companies. Coverage for an acute onset of a pre-existing condition is not available until after one full year of coverage in come plans. As a leading provider in the international health insurance industry for over 10 years, HTH Worldwide Insurance Services offers a wide variety of travel medical insurance policies best suitable for U.S. and non-U.S. citizens traveling abroad, senior travelers, and students.